Remember that glorious day when you brought your Nespresso® coffee capsule machine home for the first time? That excitement lingered for the first couple of weeks, perhaps a month or two. Waking up to the freshest coffee was a joy. You expect that every day, right? Well, make sure your coffee is still fresh! Clean your machine to restore it back to its former glory. 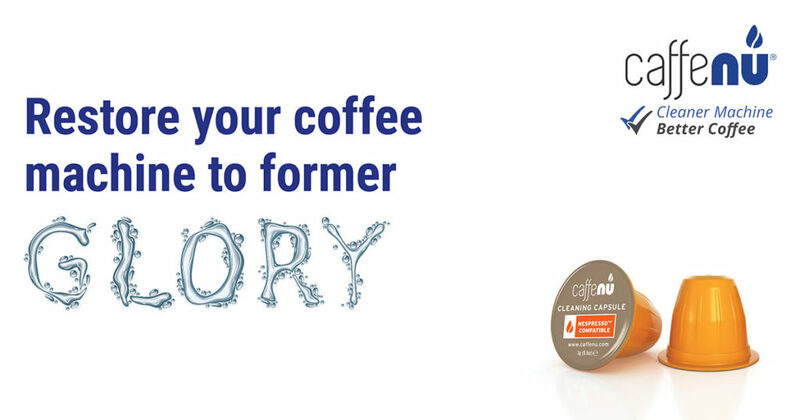 Caffenu provides cleaning capsules to ensure your coffee machine returns to its magnificent self. The cleaning capsule goes into the brewing chamber just like a regular coffee capsule. It removes bacteria and build-up instantly. You can also use a descaler targeting the back-end of your coffee capsule machine. Regular cleaning ensures optimum temperature and prolongs the life time of your machine. Most obvious is the great tasting coffee! It’s a win-win all the way! Return your Nespresso® machine to its former glory and fall in love with your coffee machine again. This entry was posted in quotes and tagged #CaffenuGloryClean, #NespressoMagnificenceRestored.